Egyptian and Latin pyramid represent of the wisdom and miracle. With the elaborating of the ideas from the designer, which comes out the similar pyramid bamboo lighting. The design is adjustable for up and down of the pyramid levels in order to fulfill and suit for any environment or decoration needs . With such pyramid similar design, the lighting comes to be mild which can also be using for “tuning” the atmospheres required. 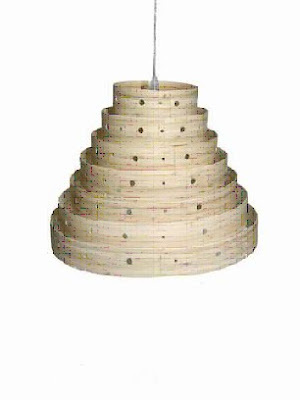 That bamboo lighting can use in any out door or in door environment. Whenever use it as hanging to the wall, ceiling, baloney or putting on the desk.